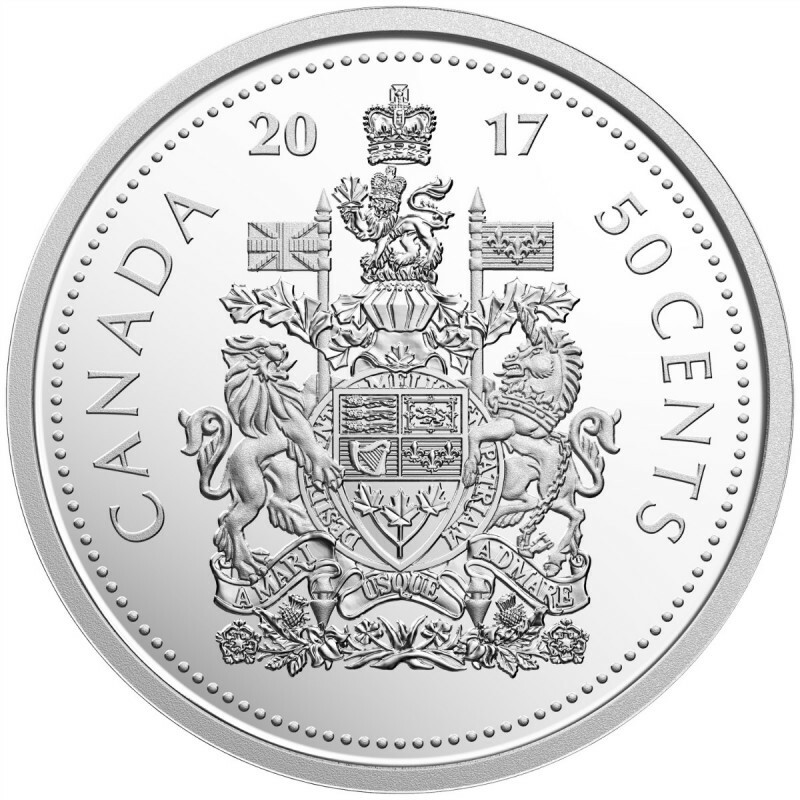 Face Value: Set - Includes the $2, $1 ft. 150th Anniversary of Canadian Confederation, Loonie, 50-Cent, 25-Cent, 10-Cent, and 5-Cent coins. From France's Marianne to the United Kingdom's Britannia, history provides numerous examples of allegorical figures that represent a powerful personification of a country's character. Where words can't do justice, these symbols carry deep meaning by embodying the strengths, ideals and virtues of a nation and its people. 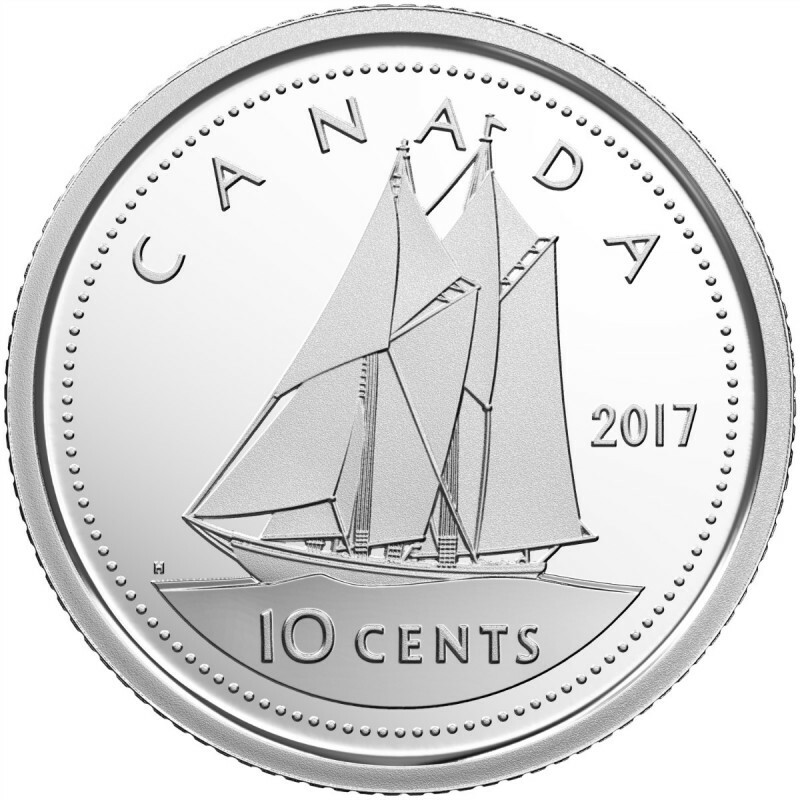 This tradition is at the heart of this year's commemorative silver design, which offers a bold, modern take on a classic idea. 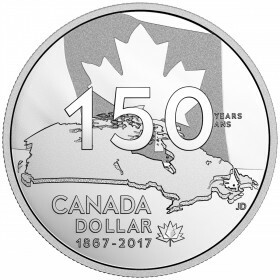 Strongly uplifting, the beautifully engraved 150th Anniversary of Canadian Confederation coin is rich with symbolism that celebrates the story of our nation, and alludes to our ability to come together and rise to the challenges we face—yesterday, today and tomorrow. Don't miss this limited-time opportunity to own these classic coins in 2017! Order today! THE CRÈME DE LA CRÈME OF COLLECTOR SETS! The 99.99% pure silver proof dollar with stunning gold plating makes this the crème de la crème of collector sets! AVAILABLE EXCLUSIVELY IN THIS SET! Your proof coin is the highest quality possible. Finished with world-class frosting, the image is struck against a brilliant field as many as three times to achieve a crisp impression with outstanding detail. 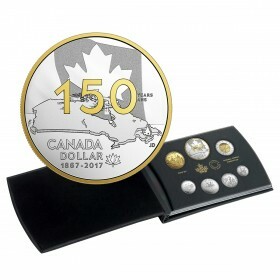 Special dies are hand polished and frequently replaced to maintain absolute perfection, while selective gold plating enhances the coin's focal point, Canada, by adding definition to the detailed frosting. Proof dollar struck in 99.99% pure silver with selective gold plating! 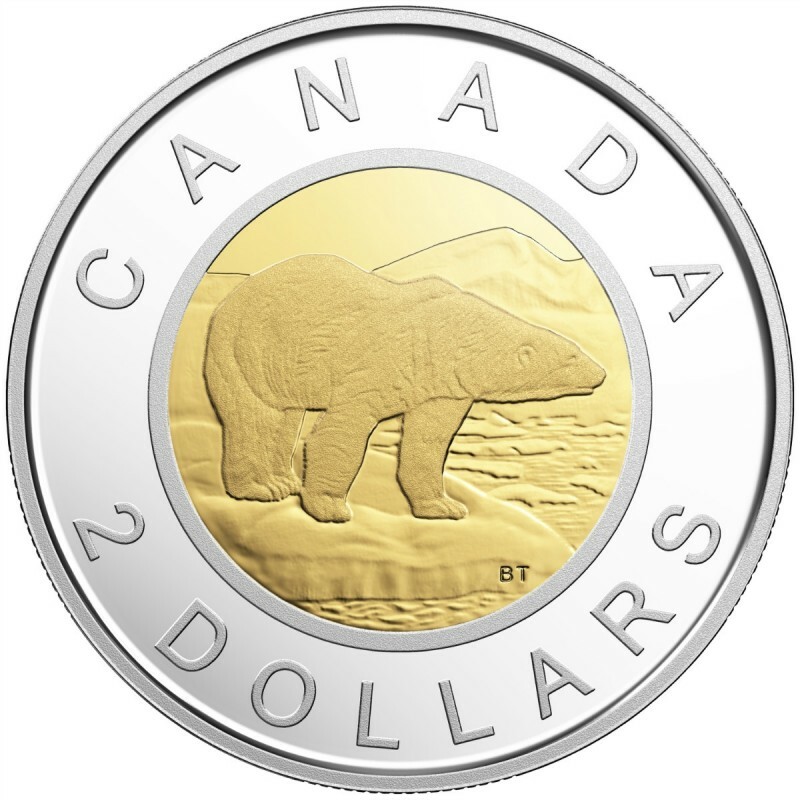 2-dollar (toonie) coin struck in 99.99% pure silver with selective gold plating! 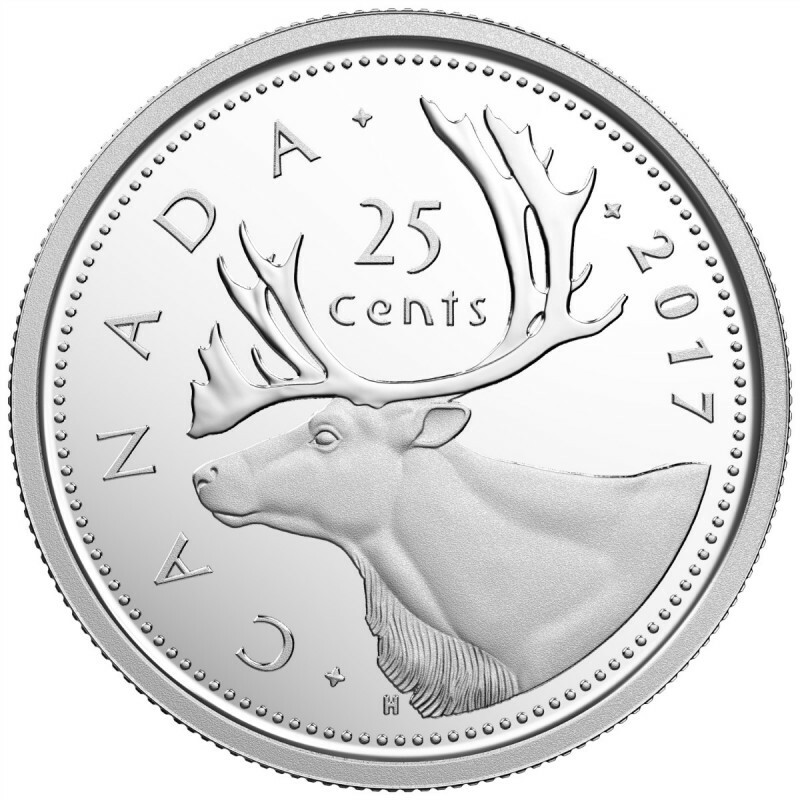 1-dollar (loonie) coin struck in 99.99% pure silver! Fully gold plated! INCLUDES THE 50-CENT COIN! 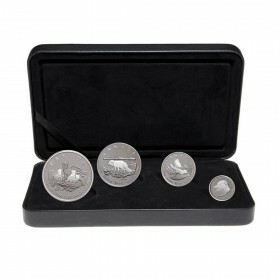 Your coin set includes Canada's Coat of Arms in 99.99% pure silver! 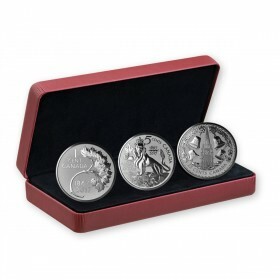 Your coin is among OUR BEST SELLERS EVERY YEAR since 1937! 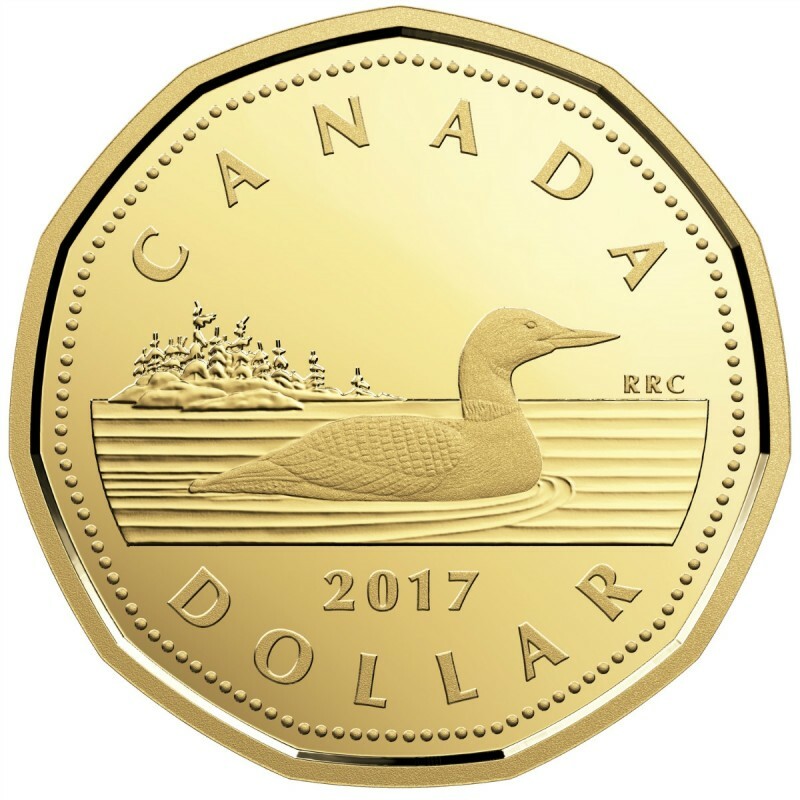 Each year, the proof dollar is one of the most sought-after coins issued by the Royal Canadian Mint. 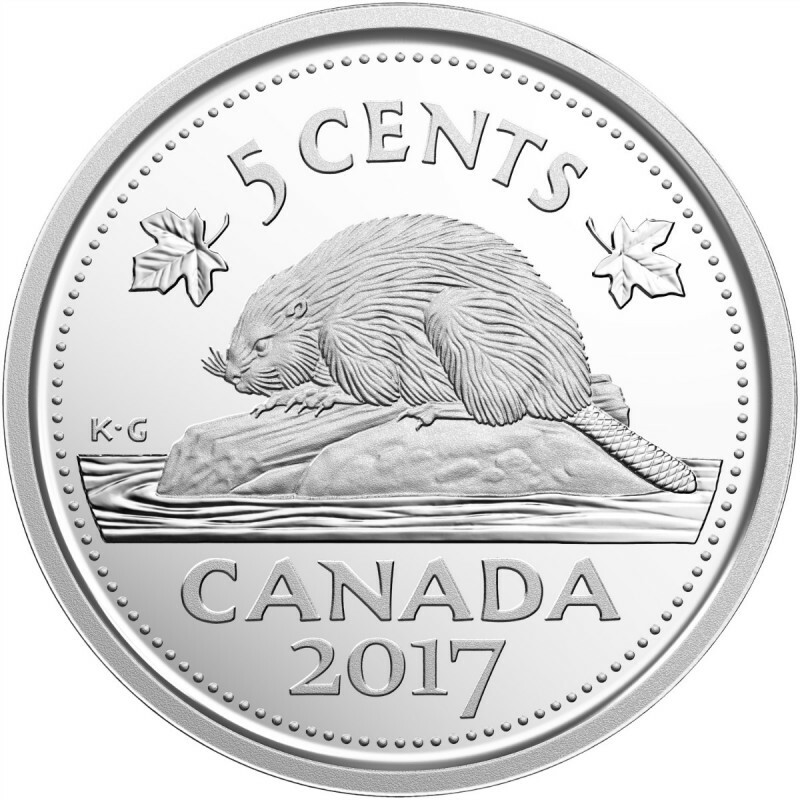 This coin is a continuation of a proud tradition that carries added meaning in 2017, as Canada celebrates 150 years. POWERFULLY SYMBOLIC! 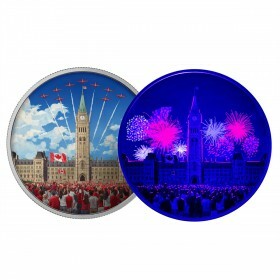 Your coin features a classic allegory, but is representative of Canada in today's world. Rich in symbolism, every element of the design is representative of our story as a nation. 99.99% PURE SILVER! 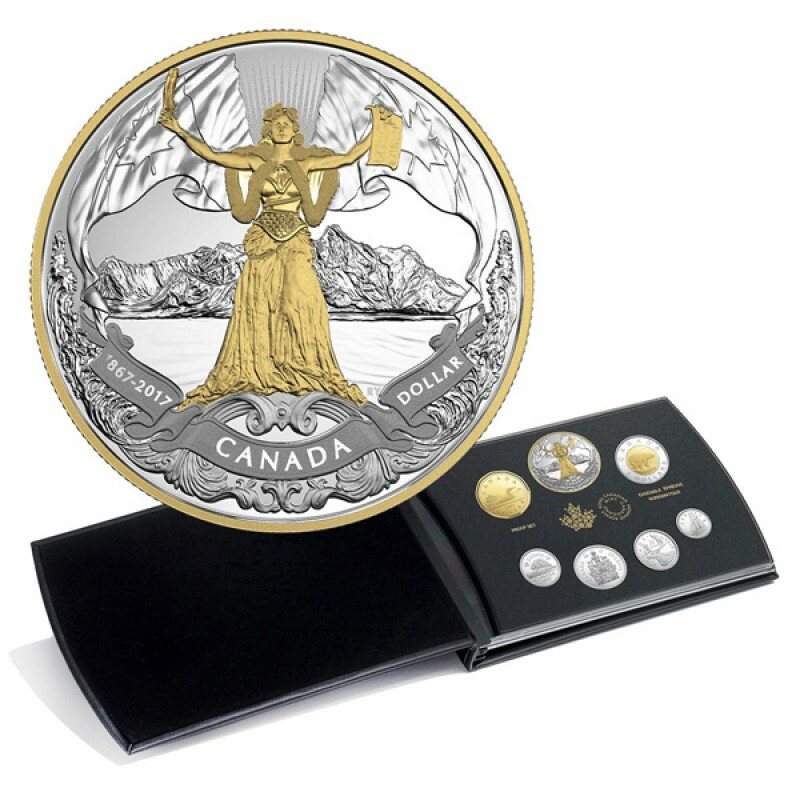 Your coins are GST/HST exempt with a limited worldwide mintage. GENUINE LEATHER BOOK-STYLE! 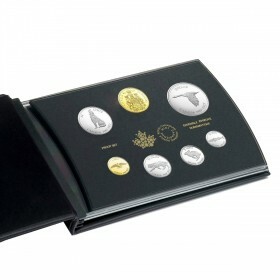 Beautifully presented in a genuine leather book-style that offers an elegant way to proudly showcase your coin. 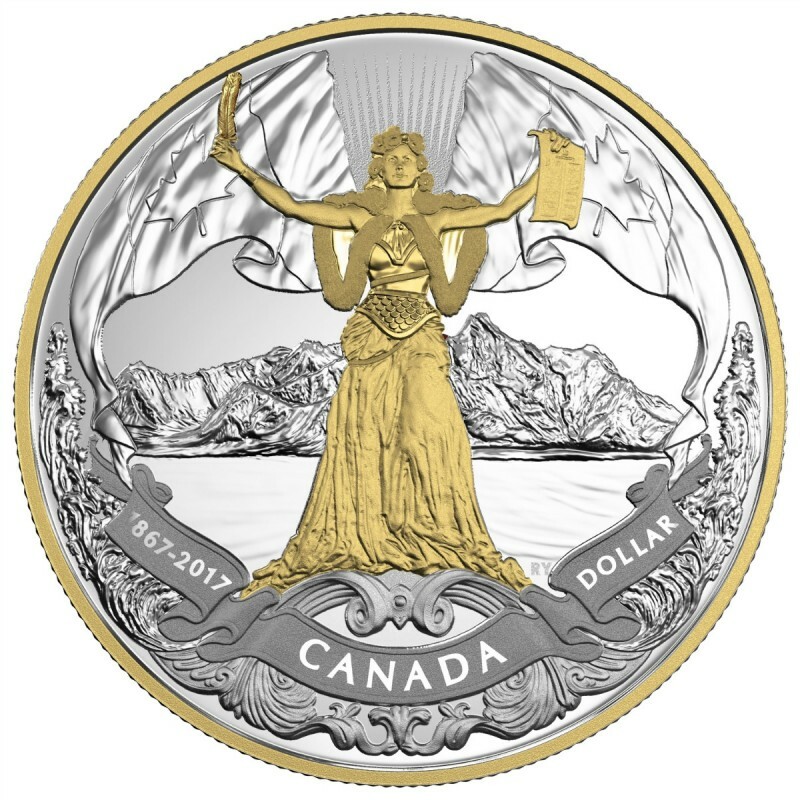 Designed by Canadian artist Rebecca Yanovskaya, your coin features a contemporary take on a classic female allegory that personifies Canada on its 150th anniversary. Every element in this complex design represents a different political, historic, geographic and social aspect—it represents our story as a nation, all conveyed by the intricate engraving and careful use of multiple finishes. Thirteen rays of light—one for each province and territory—shine down upon Canada, while the waves at her feet represent the oceans that surround us. The Canadian banners link air, land and sea while in the background, Mount Logan (Canada's tallest peak) represents the diversity of the land, and alludes to the ability of Canadians to "rise" to the challenges we face—yesterday, today and tomorrow. 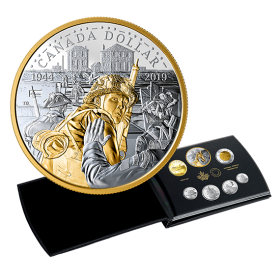 Your set includes a numbered certificate with detailed coin specifications—your proof of ownership for this low mintage premium proof set and evidence that each coin has been individually inspected by our resident quality assurance specialists. 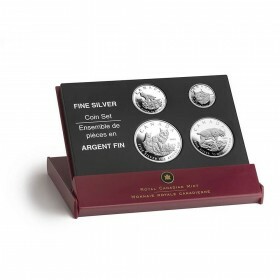 Your pure silver proof set comes in an elegant genuine leather book-style packaging that complements your beautiful coins.